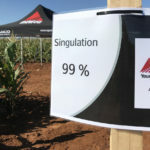 AGCO Crop Tour is a unique initiative aimed at finding ways to improve crop yields using innovative new agricultural machinery solutions on test farms throughout the world. In 2018, Crop Tour will take place in North America, Africa and Europe. 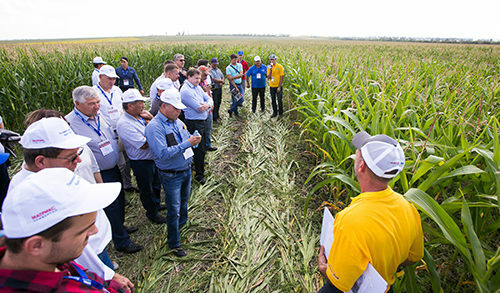 AGCO uses Crop Tour sites around the globe to educate agronomists, dealers, and farmers on the latest agriculture techniques and equipment options. For the past two years, the sites have followed the AGCO Crop Tour plot protocol, which included studies focused on the importance of even emergence, precise depth control, proper downforce, and highly accurate seed singulation and spacing. In 2018, we will begin looking at the effect of organic matter on a variety of factors such as plant population, hybrid selection, and nitrogen management. 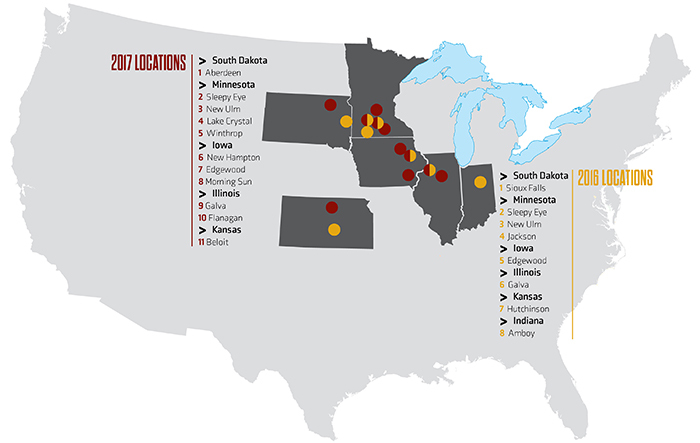 AGCO North America Crop Tour 2017 included AGCO Crop Tour events at the locations in this photo. Planting occured in late April to early May, and AGCO Crop Tour 2018 events will take place in June and August. Read past years’ information, stay up-to-date and sign up for the 2018 events here: AGCO North America Crop Tour. There were two research trials in South Africa where AGCO Africa Crop Tour 2018 activities took place. Both locations are near Lichtenburg, and plots include both corn and sunflowers. 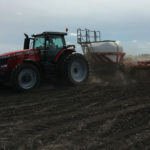 Planting occurred in December 2017, and AGCO Africa Crop Tour 2018 events took place during the week of April 23, 2018. 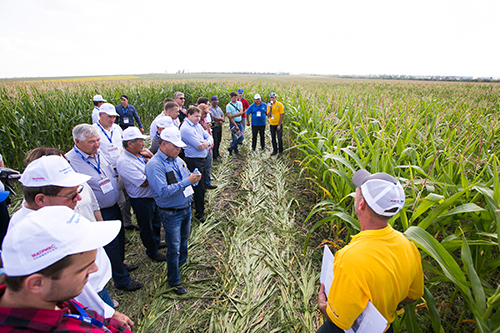 AGCO Russia Crop Tour 2017 was held at Rail Fakhrislamov’s 44,000-acre Krasnaya Bashkiria (KB) farm located just east of the Ural Mountains in the Russian Republic of Bashkortostan. AGCO Crop Tour 2018 will be held in Russia, Ukraine and three locations in western Europe. AGCO Russia Crop Tour 2018 will be held on August 15 at the same farm where AGCO Russia Crop Tour 2017 took place, which is Rail Fakhrislamov’s 44,000-acre Krasnaya Bashkiria (KB) farm located just east of the Ural Mountains in the Russian Republic of Bashkortostan. The AGCO Ukraine Crop Tour 2018 will be hosted on September 11-12 by Kernel whose headquarters is in Kyiv, Ukraine. Kernel is is the largest Sunflower oil producer in the world producing close to ten percent of the global supply of sunflower oil. In western Europe, there will be an event on August 23 at Fendt Field Day in Wadenbrunn, Germany and an event on September 19-23 at the Swiss Future Farm in in Tänikon, Switzerland. Planting occured in April and early May. Stay tuned! 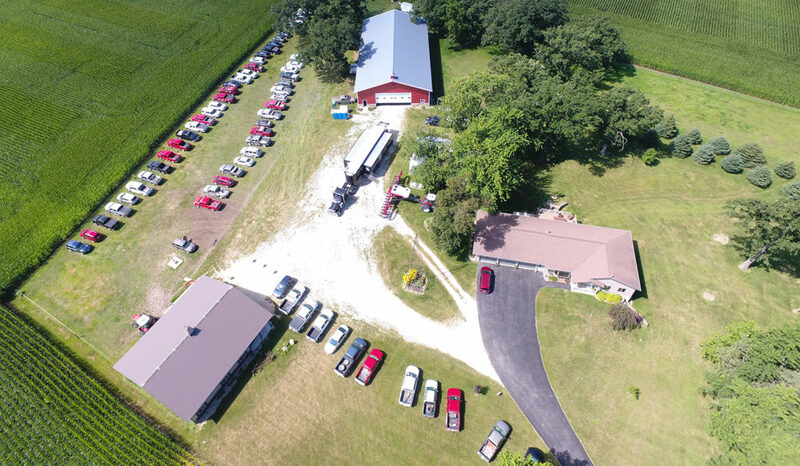 We will also publish an AGCO Global Crop Tour 2018 blog post once all events are complete to discuss results and key takeaways.